Family: $45, couples and children under age 16. 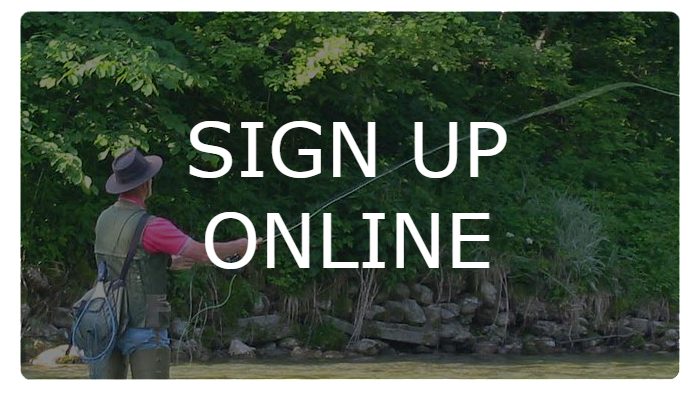 With membership you will also receive all monthly mailings, meeting notices, invitations to events, free fly tying instruction and our monthly newsletter. We have videos and DVDs, books and audio tapes that can be borrowed by our members for a month at a time at no charge. We warmly welcome all new members. All new and renewing members will receive a membership card. January 1- September 30: Full rate. October – December: No charge upon payment for the succeeding year’s dues. (This will make you a member for the present and following year). Over 80 – Membership free with application. You will be sent a membership card and newsletter confirming your membership when your application is received. Click below to fill out the form and pay online, your membership will be processed. 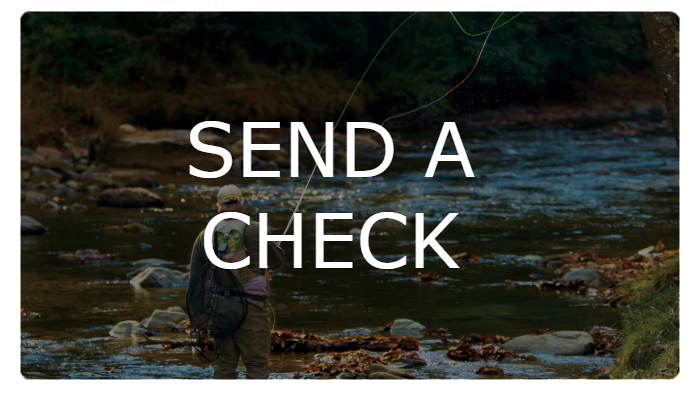 Click below to fill out the form and send in payment, your membership will be processed when the check or money order is received.